Expertise: Obesity, Sleep Disorders, Respiration Disorders, Bariatric surgery, Asthma, Cardiac Function, Chronic Heart Failure, Chronic Obstructive Pulmonary Disease, Emergency Management, Monitoring, Obstructive sleep apnea, Pulmonary Physiology. 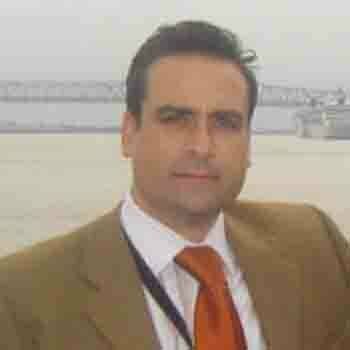 Dr. Antonio M. Esquinasvis is staff physician of Intensive Care unit of Hospital Morales Meseguer in Murcia (Spain), associated Fellow College Chest Physician, and International Fellow American Association of Respiratory Care and Director at International School of Non-invasive mechanical Ventilation, President at International Association of NIV, and Ibero American Association of Bioethics in NIV. He is an Editor in chief and author of numerous chapters, articles and books focus on mechanical ventilation, no invasive mechanical ventilation, and postoperative pulmonary complications and associated Respiratory technologies. He has published more than 700 publications in national and international journals.